Sure, I don't have small children any more but I'm still making valentines. 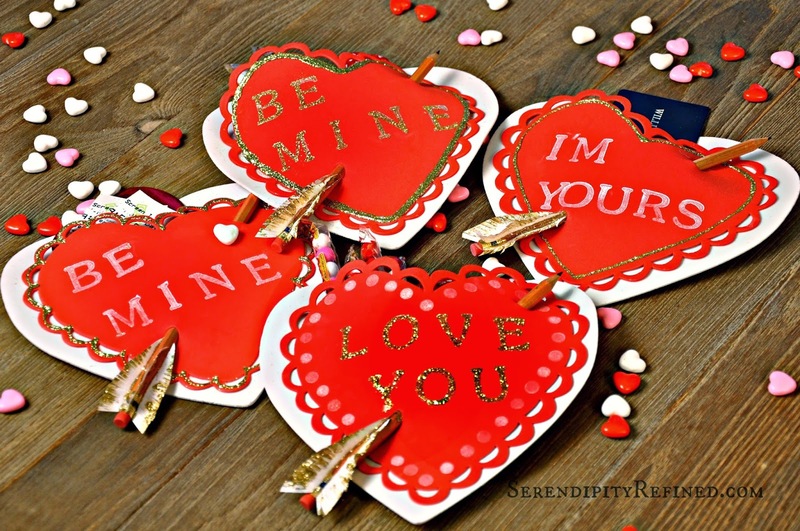 These DIY valentines are are inexpensive and so easy that children five and over can make them (with adult help for the gluing and hole punching). They're perfect for my girlfriends, neighbors and my grown sons. Two Foam hearts per pocket (or one for unfilled Valentines) Mine came in a package with one slightly larger and one smaller, this would also work with two that are the same size to form the pocket. 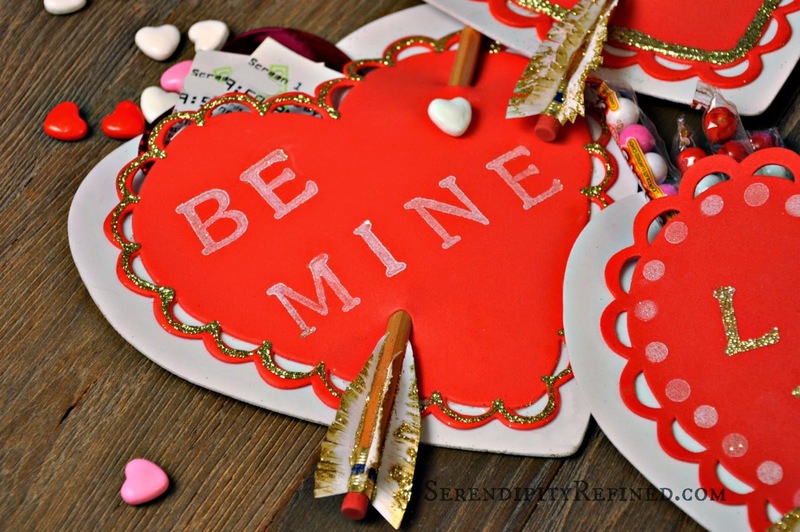 Using stamps and markers, decorate the heart. Using a hole punch, punch 2 holes on a diagonal. Cut 3 pieces of card stock 1 1/2 inches long and 1/2 inch wide angling slightly to one end. Fringe the edges with scissors. Attach to the eraser end of the pencil using a bead of hot glue. Thread the pencil through the holes. If you're using these for school Valentines, you're finished. This is the most simple version of this project. 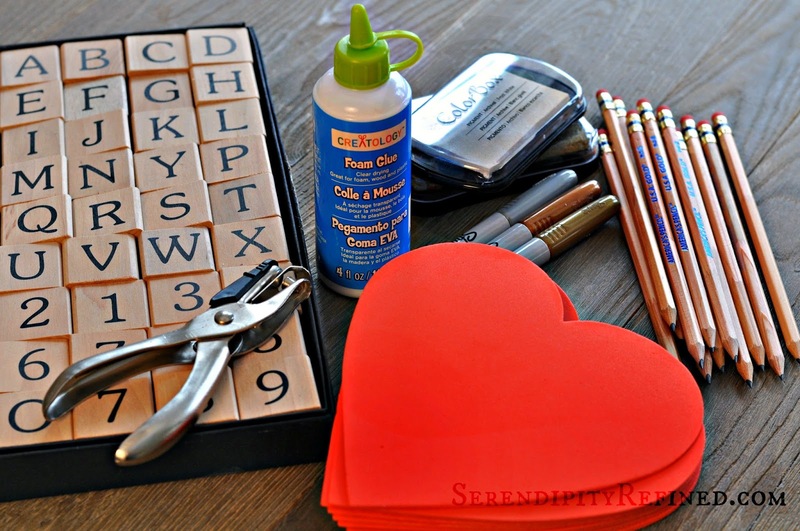 Decorate the smaller heart using stamps, glitter, stickers and markers. 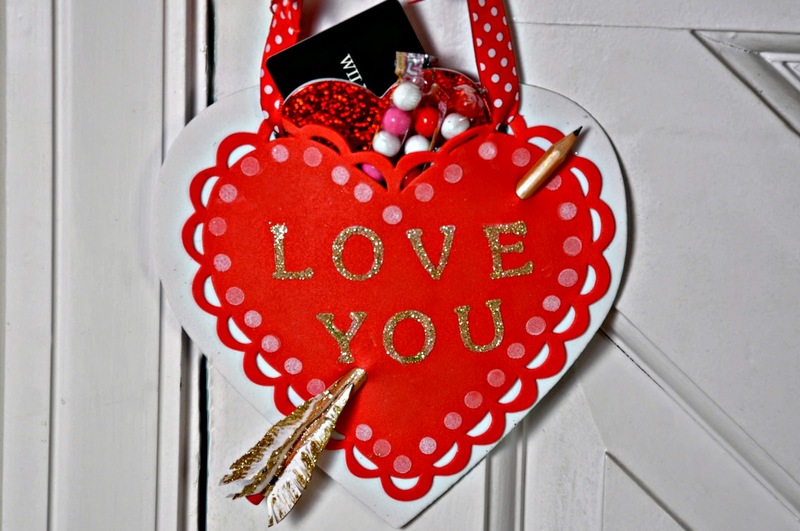 Using a hole punch, punch 2 holes through the hearts on a diagonal. Cut three, 1 1/2 inch long paper "quills" and attach them to the eraser end of the pencil using a bead of hot glue. Brush lightly with Gold paint and glitter if desired. 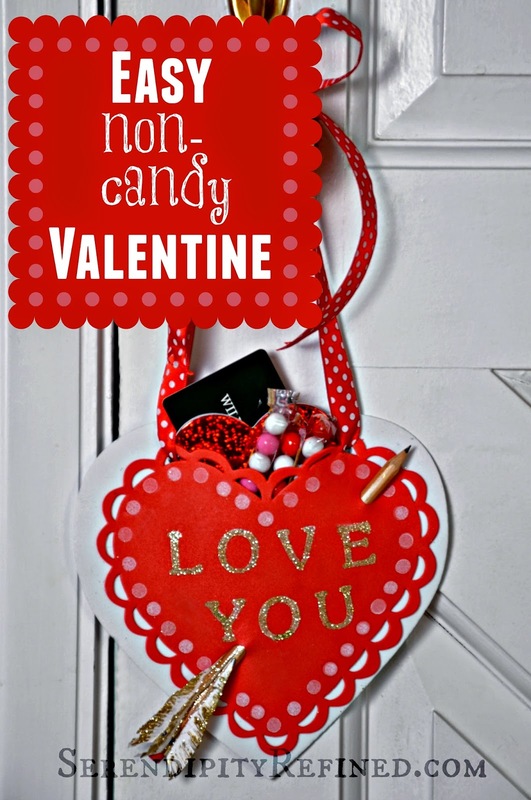 Fill the heart with candy, small toys or gift cards if desired. Thread the pencil through the holes to hold the pocket closed. I chose to thread ribbon through the top of some of my pockets so that I can hang them on door knobs when I need to. 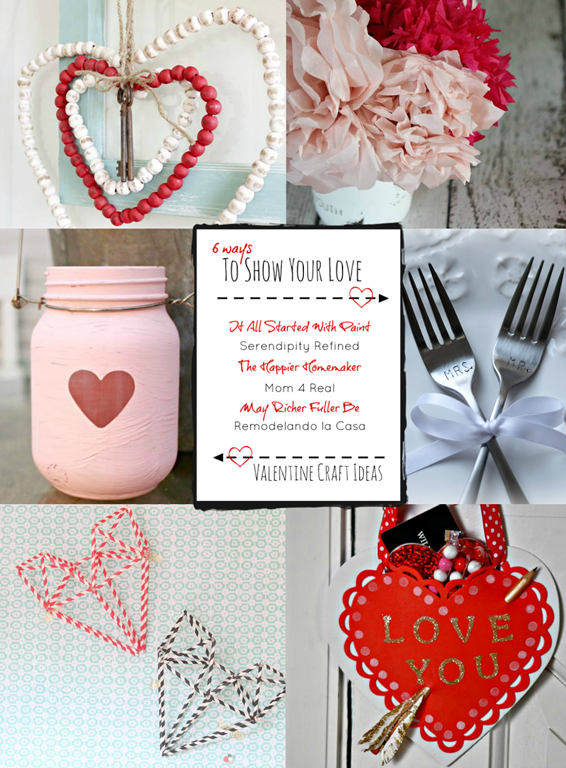 Don't forget to visit the other five bloggers to see the Valentine's Day DIY's that they've created! 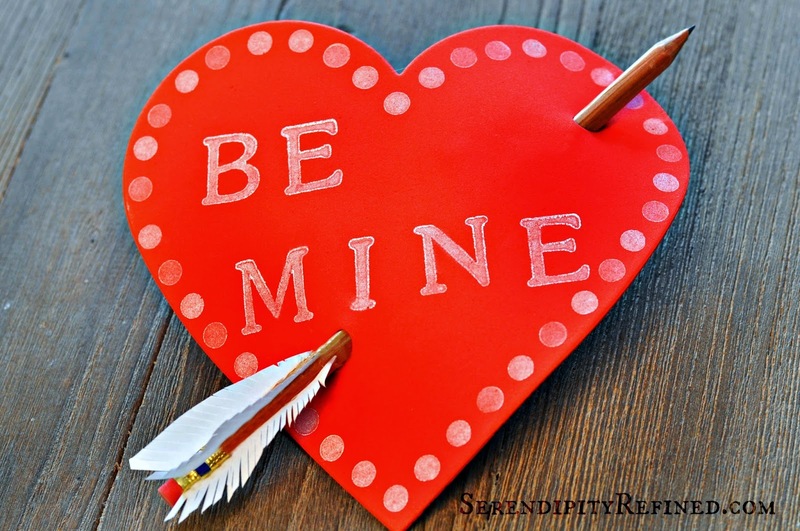 These simple pocket valentines with wood pencil arrows can be as easy or as decorative as you wish. Of course they can be filled with candy but there are lots of non-candy choices too! Use your imagination to fill them with a couple of tea bags and a spoon, a gift card for coffee, tickets to a favorite movie, a certificate for ice cream, a manicure, or non-monetary treasures like unlimited hugs and kisses! 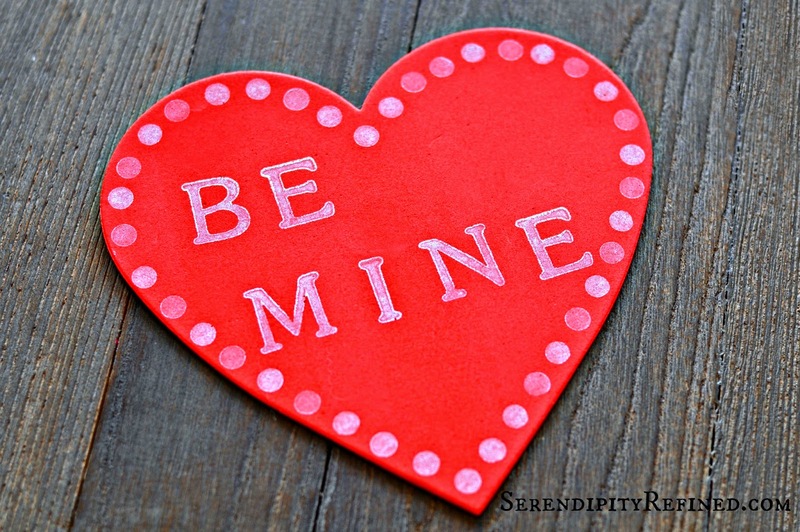 Whatever you do, your favorite valentine is sure to LOVE it!